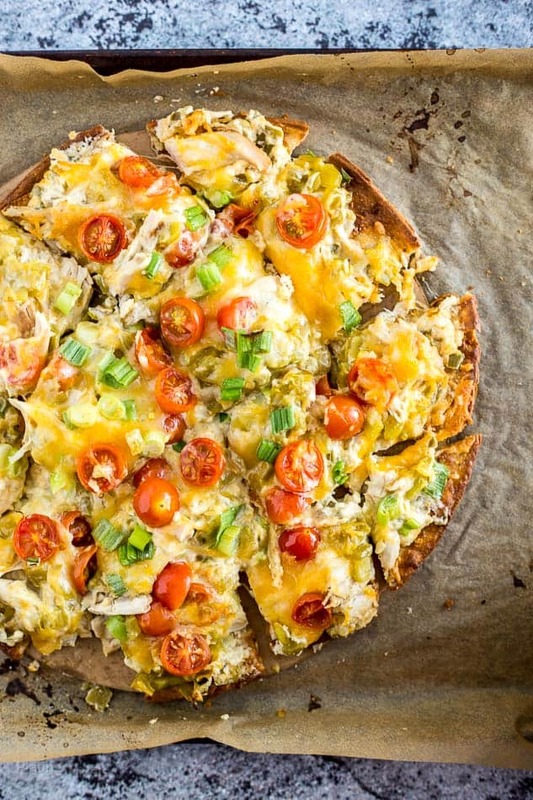 Green Chile & Cheese Dip spread over gluten-free flatbread pizza crust. Topped with shredded cooked chicken breast, diced chilies, veggies and Mexican cheese blend. 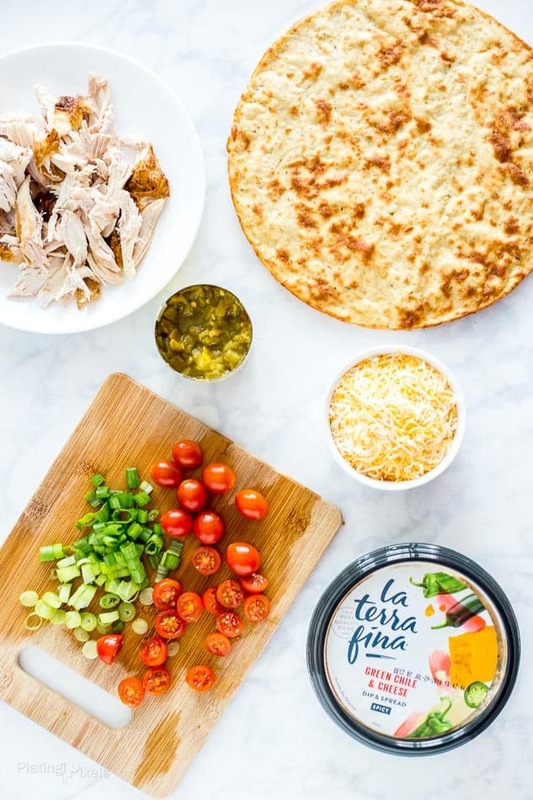 This Cheesy Chile and Chicken Flatbread Pizza recipe is a sponsored post written by me on behalf of La Terra Fina. Pizza has always been a favorite of mine, but is often considered an indulgence food. 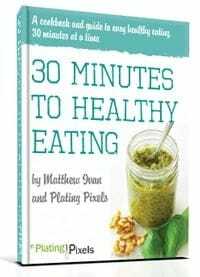 While I enjoy the classic thick crust Italian-style pizza with plenty of cheese and toppings, a lighter alternative will just as easily satisfy these cravings. This gluten free Cheesy Chile and Chicken Flatbread Pizza will be a fun change from your standard take-out pizza. I’ve also been focusing on reducing carbs, sugars, processed and artificial ingredients from my diet. You can use any crust or dough you prefer, but I recommend a gluten-free crust to lighten up this flatbread recipe. Cauliflower crust, either homemade or store-bought, is ideal. A few simple, clean ingredients is all you need for a light pizza with a Mexican theme. It’s got plenty of lean protein, veggies and a unique ‘sauce’ to punch up this chicken flatbread pizza. What makes this Cheesy Chile and Chicken Flatbread Pizza unique is the sauce substitute. 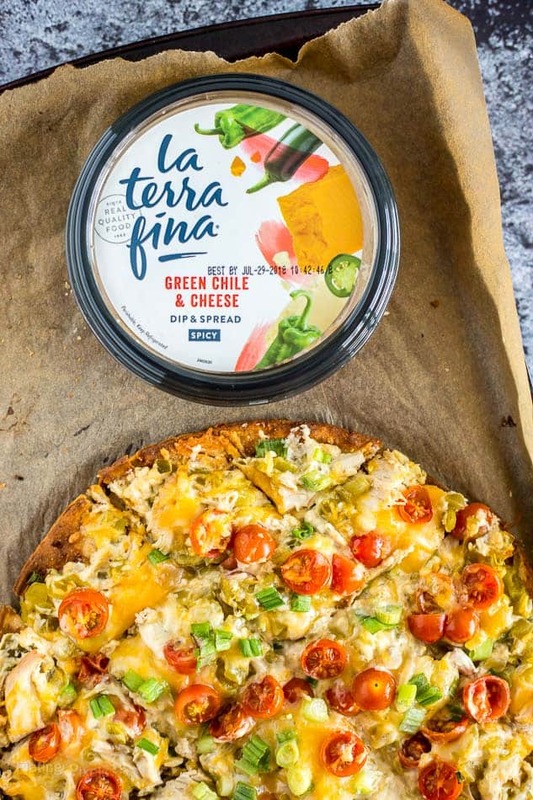 Instead of traditional marinara or alfredo, use La Terra Fina Green Chile & Cheese Dip. It’s a blend of spicy chile ingredients mixed with cream cheese and cheddar cheese. The fresh flavor reminds me of stuffed jalapeno poppers, but without the added breading or fried oils. It’s perfect for entertaining and can be enjoyed hot or cold, right out of the container or in recipes. La Terra Fina was founded in 1983 by a popular San Francisco Bay Area caterer. It’s “Good Food from the Good Earth,” and made with real, clean ingredients. All their dips are gluten free and nut free, with no artificial flavors, colors or preservatives. Look for a variety of dips and flavors in supermarkets, club stores and specialty grocery retailers nationwide. 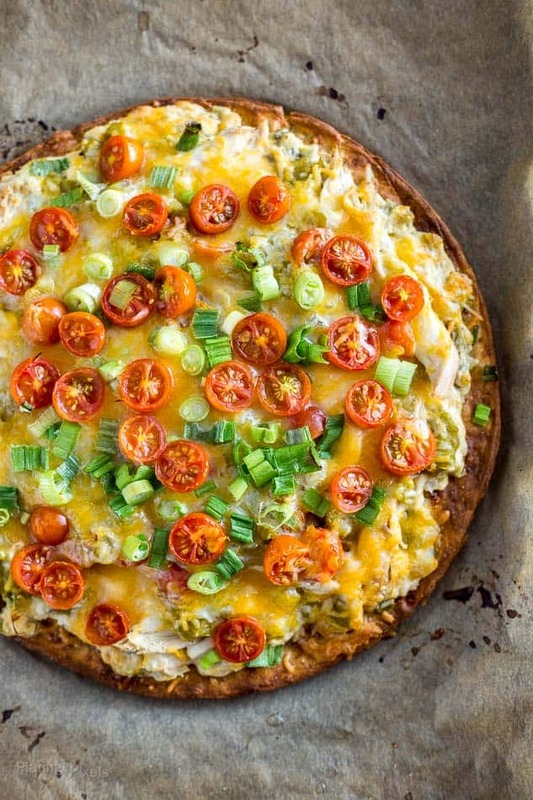 Cooked chicken breast, diced chilies, green onion, cherry tomato halves, Mexican cheese blend, crust of choice, and a unique and wholesome cheese dip is all you need to create an easy lightened up chicken flatbread pizza for any time of the week. Green Chile & Cheese Dip spread, shredded chicken, Mexican cheese and veggies over flatbread pizza crust. Preheat oven to 425° F. Prepare flatbread crust according to package directions, pre-bake if necessary. Evenly spread green chili cheese dip over crust, leaving ½-inch of edge exposed. Top with chicken and chilies. Sprinkle with shredded cheese then top with green onions and tomatoes. Bake 8-12 minutes, or until crust is golden and cheese is melted. Let sit 5 minutes, cut into squares and serve immediately.